People who require large data capacity for the workstation to store big files now have better choice. GR5630 provides 6TB (with four 2TB hard drives) large capacity, eSATA and Firewire800 ports with better transfer rate and high level RAID 5 data protection. Given better sequential performance with its built-in oxfordd936QSE chip delivers good reaad/write performance efficency on big files. Adding storage can be accomplished in many different ways. Here at OverclockersClub, we have examined most of them: solid state drives, new internal hard drives, external hard drive enclosures, network attachedstorage servers, and even USB flash drives. Each of these solutions has its own benefits as well as drawbacks. One other option is to use direct attached storage (DAS), which connects directly to the host computer. 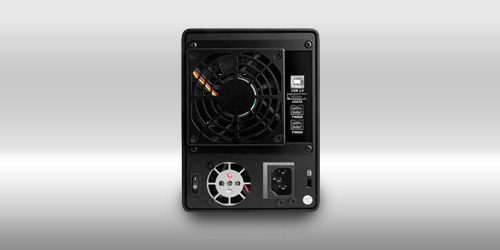 While external hard drives are technically DAS, there are more sophisticated units that more closely resemble NAS units in size and features and include high speed connections such as eSATA. Direct-attached storage offers the ability to add additional high speed storage without the complexities of a NAS unit, but also lacks many of the features we've seen in the NAS units we've reviewed. One of the main reasons cited for using NAS in addition to the easier setup, is the units generally offer higher speed connections than those that connect over the network. This is a useful characteristic for tasks involving the movement of large files, such as those found in video rendering and CAD operations. 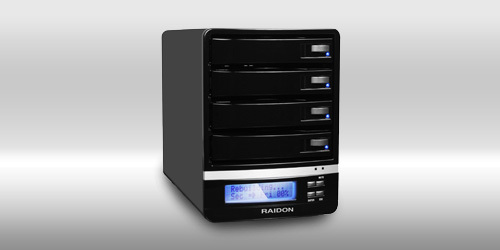 Today we will be examining a four-bay DAS unit from Raidon Technology, Inc. — the GR5630-WSB3 — that offers RAID 5 redundancy along with three different high-speed interfaces for connecting to the host. 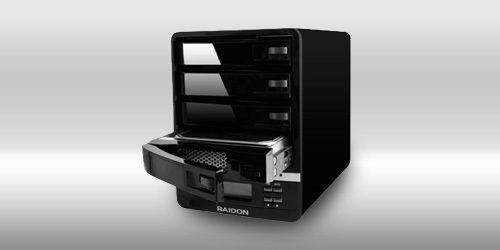 Raidon has been around since 2000 and specializes in offering different small-scale RAID solutions for small and medium sized businesses, as well as home users under the Raidon and Stardom brand names. The GR5630-WSB3 arrived in a sturdy cardboard shipping box to protect it in transit. The actual product carton contains images of the different models in the 5630 series of storage units with the GR5630-WSB3 pictured on the right. The first side of the carton shows the rear of the units with a designator denoting which particular model is in the box. Looking at the rear, we see a list of specifications in eight different languages along with additional product shots. The other side depicts the theoretical transfer speeds of the different interfaces and touts the benefits of the RAID 5 functionality.